The newly-wedded couple, Pakistan Tehreek-e-Insaf (PTI) chief Imran Khan and his new bride Bushra Maneka were in Bani Gala, the palatial residence of Imran Khan on Monday. Imran will is planning to avoid abroad trips and would remain in Pakistan. He has also canceled his political engagements on Monday. A cricketer-turned-politician married his spiritual faith healer in a simple ceremony in Lahore on Sunday evening. Imran has resumed his political activities from today and is scheduled to make a one-day visit to Peshawar, the report added. While announcing the marriage, PTI spokesman Fawad Chaudhry said, “Marriage is the combination of two hearts and two souls which join each on this special day of the wedding. I wish a very happy and blessed married life to Imran Khan. 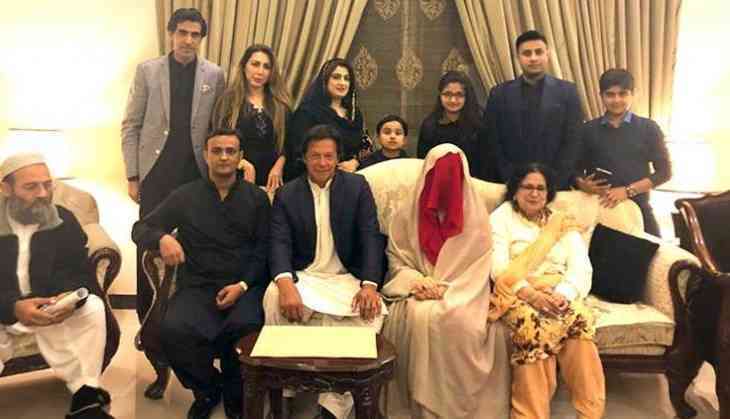 The party’s media wing released pictures of the marriage ceremony in which Khan is seen wearing shalwar kameez and black jacket while Bushra Maneka (also known as Pinki Pir) is decked in a red suit with a woolen shawl. Also Read: Did Imran Khan actually married third time on Jan 1 this year? News agency PTI reported, " Imran visiting her over a year ago to seek spiritual advice. He (Khan) got closer to her when some of the political predictions she made about his party came true. 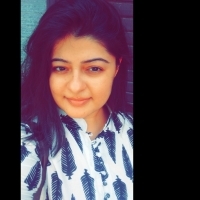 Later, both developed some ‘intimacy’ and finally, Bushra took divorce from her husband and contracted marriage with Imran early last month." Since January, reports of his marriage was in the news. Last month, he grabbed headlines after he admitted that he had proposed marriage to Maneka. Khan said, “I would like to reiterate that every time I met her, with family and alone, she has been in purdah (veil). My interest in her lies in the fact that I have not seen or met anyone with her level of spirituality. I only sent the proposal for marriage after she divorced her husband."